Pronunciation Coach shows you how to pronounce any word or phrase correctly. You simply type in any word (including names, addresses and number sequences) and then create a model of the pronunciation. 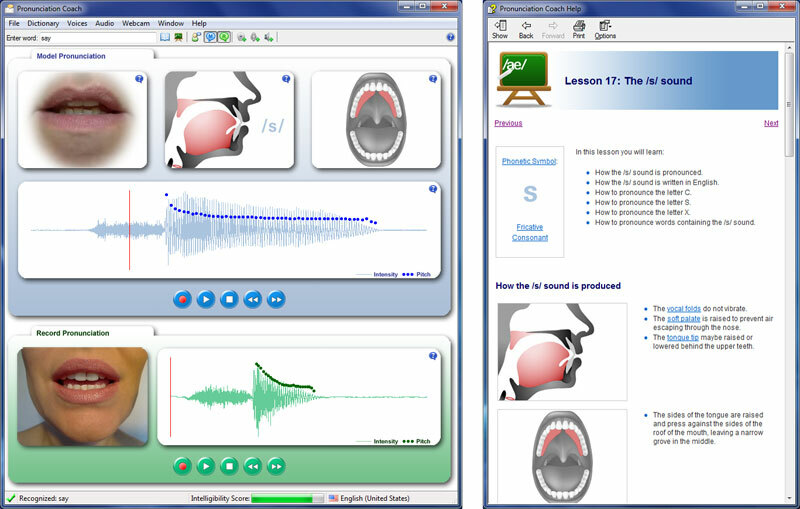 Each model contains: Audio for listening to the pronunciation; Video for viewing the tongue, vocal folds, velum and lips; Waveforms for viewing timing, pitch and speech intensity; Phonetic symbols to identify the individual speech sounds. LingvoSoft English<->German Dictionary is now available for Microsoft Smartphone! This handy software dictionary (400.000 words) will transform your Smartphone into a mobile translation tool that is always ready to serve you.